Even though Amazon deserves a pat on back for giving rebirth to the way people used to shop, there are sentimentalists who believe that it took some of the pleasure of discovery out of the shopping picture. Subscription boxes and services came as an antidote to that sentimentali feeling due to their inherently personal and surprising nature. That’s the reason why this form of e-commerce is growing. The study by Hitwise has showed that visits to “sub-box” sites has grown 3,000% in the past three years, with 21.4 million visits in January 2016. (In comparison, visits to the top 500 online retail sites have only gone up 168 percent). It then answers why bigwigs like Amazon, Starbucks and Sephora have been switching to the subscription mode. 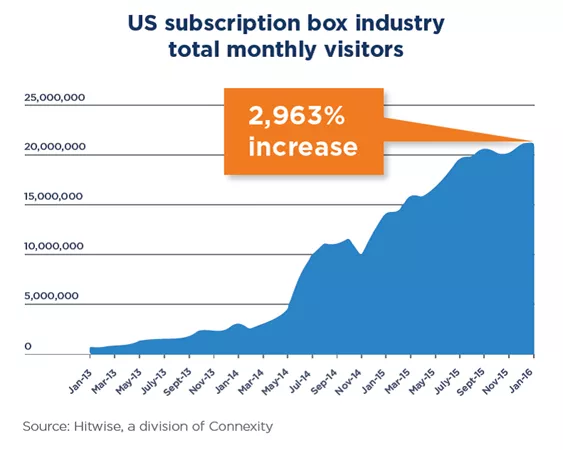 The above graph shows the immense potential of the subscription concept, but issues with it still remain. That’s where subscription box loyalty programs can fill up the void. When you are selling something one-off, then you tend to think mostly about top-of-funnel metrics, and cost per acquisition (CPA) is based on a single conversion event. But in the subscription business, usage, churn, yield, and lifetime value (LTV) become the metrics that need to be closely monitored. 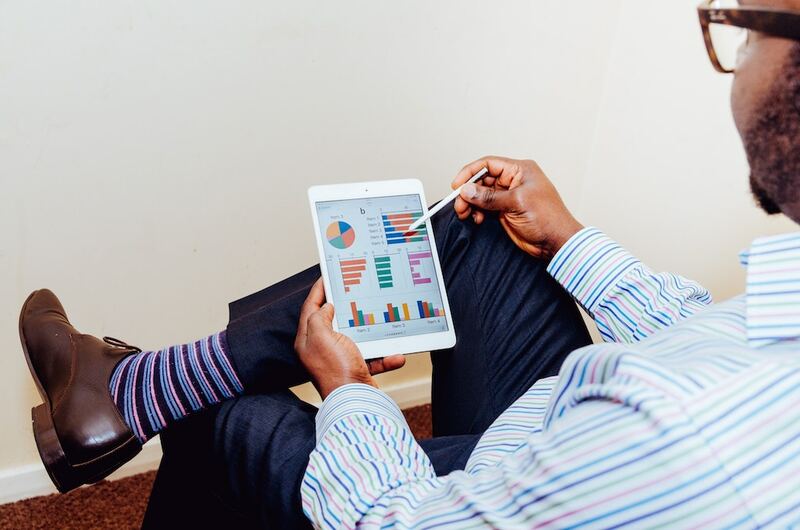 These same metrics hold great importance in the world of loyalty platforms, as the ultimate goal of subscription business and loyalty programs is repeat purchases. When the novelty of the box wears off for some customers, the subscription box loyalty program usually has enough weight to keep them coming back. There are almost 400 subscription box startups on the investor marketplace AngelList. It tells how crowded the market of subscription business has become and looking at the current phase, it’s not going to die down soon. 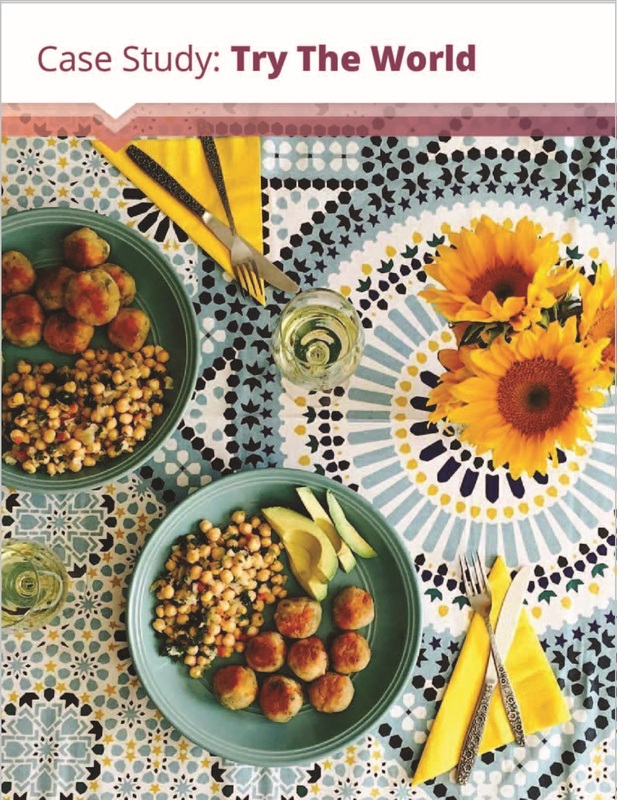 The increasing amount of subscription programs is making customers’ plate full of options. As soon as your rival gets into the subscription mode and offers a slightly better deal, many of your customers won’t give a serious thought before leaving your program. That’s why new research shows that 72% of subscription customers failed to make a repeat purchase in the 12 months following their first purchase. 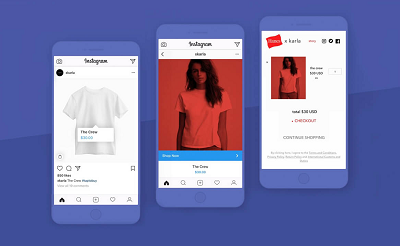 Besides, another reason for this is that subscription commerce works on the basic dynamics of necessities–most of them offer something which needs to be replenished on a regular basis. In that sense, this model works better for products like razors and cosmetics. But through the value addition in the form of rewards and special treatment, which is very much the core competency of a loyalty platform, you can keep people interested in your business by giving them a strong reason to stay with you. 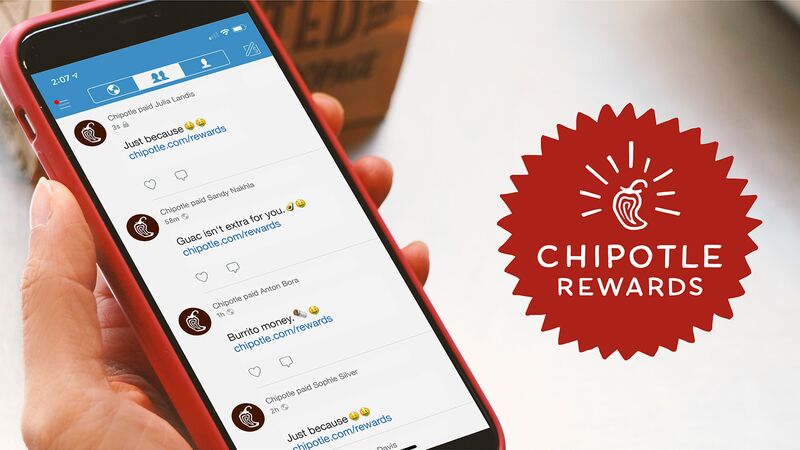 After all, who doesn’t like rewards? 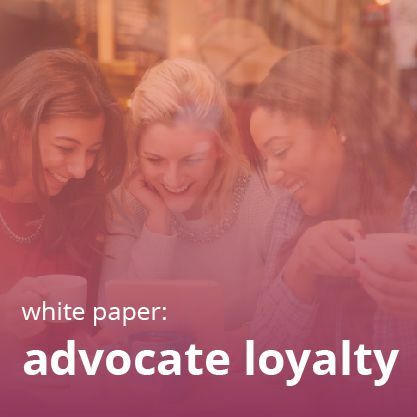 Also, a good loyalty program with intelligent communication, exciting rewards, and fun oriented premise can help you to stand out in the competitive world of subscription. The customer’s move toward the subscription model is slow. In the beginning, a customer that subscribes to your product is less valuable than the customer who purchases from you. There is less cash flow and the front revenue will get affected. There is no doubt that in the long term a subscription customer is certainly more valuable. But initially, there is a lengthy holding period. Thus, it becomes a demand of the economic front to generate maximum revenue from the existing customers. A subscription box loyalty ecosystem can help companies in implementing a proper customer retention management. 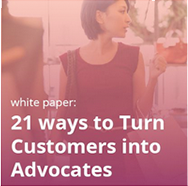 And remember that 80% of revenue comes from existing customers. For subscription companies, it can compensate for slower revenue growth that they experience in the beginning. In short, subscription to ensure a respectable customer experience through rewards and financial stability via reordering. A surge in rewards programs in this segment is an outcome of that assurance. The following example of Try the World is one among many other examples. 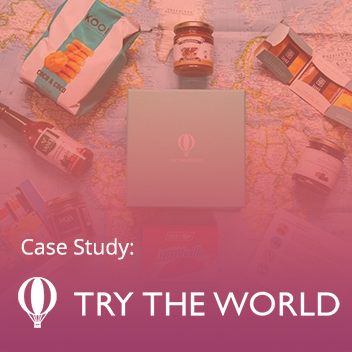 Try The World is a subscription box that provides customers with gourmet treats from around the world. 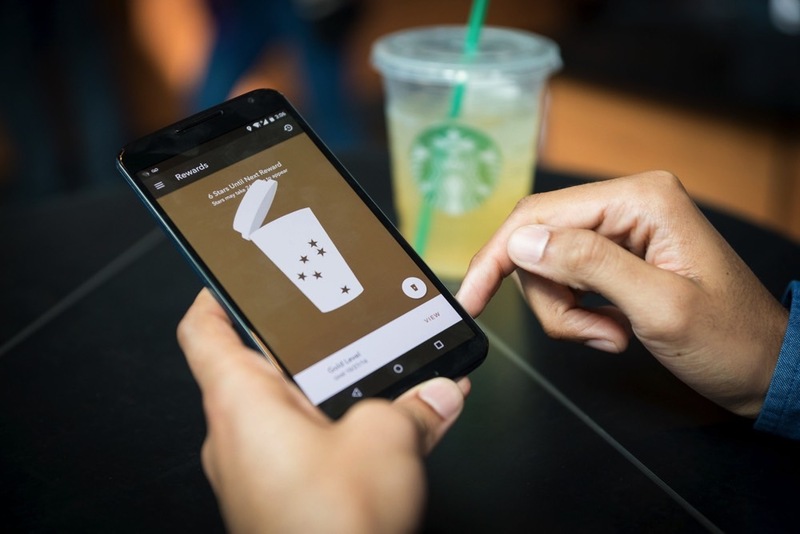 It a straightforward rewards program that rewards purchases in order to boost repeat purchase rates and average order value. It’s a win-win situation for both the customers and Try The World, as customers are getting extra spending money, which they can use towards Try The World’s subscription boxes or in its individual product store, and Try The World sees increased order values and customer LTV. 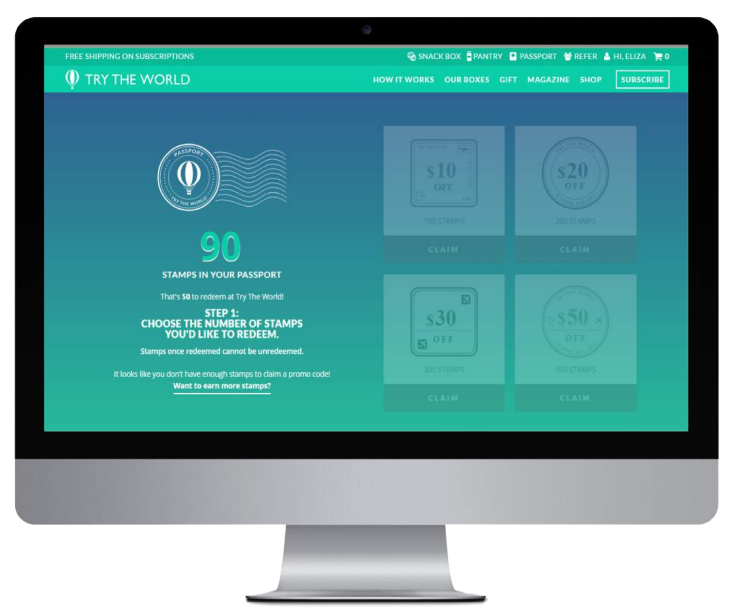 Try The World also implemented a referral program to further reward its loyal advocates for spreading the word about their company. You can read about it and their subscription box loyalty program in our case study! It’s then not at all surprising to see why the subscription model has worked well when combined with some sort of a reward program. The success story began when Birchbox pioneered that form of combination. Within 6 months of the launch of its reward program, it got over 400,000 subscribers to the service. This is a telling text of the power of this combination…and its significance becomes even more glaring when we get to know that 35% of Global 2000 companies generated revenue using a subscription model in 2015. Fill out the form to learn more about Try The World’s Annex Cloud solutions!